This work analyzes how the three key elements of a democratic society—freedom, equality, and fraternity—have been misconstrued by intellectuals and policy makers who do not respect the limitations of the human condition. Their lack of common sense has resulted in social and cultural problems rather than solutions to them. 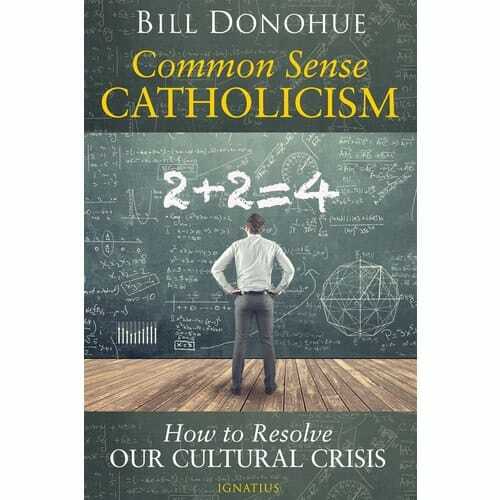 By contrast, the social teachings of the Catholic Church mesh nicely with the demands of human nature, and as such they offer the right remedy to our cultural crisis. Freedom defined as radical individualism has eclipsed the understanding that real rights are tethered to responsibilities. Equality defined as radical egalitarianism yields little in the way of equality and much in the way of state-sponsored social discord. And fraternity without the foundation of familial bonds and religious communities leaves people isolated and disoriented. Catholic teaching offers much wisdom to remedy our insufficient understanding of the elements needed for a free and flourishing society. Its common sense is greatly needed to help modern Americans rediscover the true meaning of their highest ideals. Bill Donohue is president of the Catholic League for Religious and Civil Rights and publisher of the league's journal, Catalyst. He received his Ph.D. in Sociology from New York University and is the author of several books on civil liberties, social issues, and Catholicism. A noted TV personality, Bill is an outspoken defender of the Catholic Church and traditional moral values.